We just got done installing Android 4.4 Kit Kat on our Verizon Moto X and realized after setting up Google Wallet that it wasn’t showing up in our Tap & pay section. We also weren’t seeing the option to be able to “tap and pay” in Google Wallet like we were sort of expecting once running 4.4. We mentioned in our quick overview that Google may need to push out an update to Google Wallet to get it to work with Kit Kat devices outside of the Nexus 5, since the N5 is running a newer version of Wallet than is currently available on Google Play. As you all know, Android 4.4 introduced Host Card Emulation (HCE) that allows Android and developers to build in NFC tap-to-pay services without needing a provisioned secure element. If you have followed along in the blocking of Google Wallet by carriers, you’ll be very familiar with secure elements. I don’t want to call this move a big “F U” to carriers, but it certainly feels like it is in a way. Basically, once your phone is updated to Kit Kat, you’ll be able to use Google Wallet like you should have been able to from the beginning. You can find more info on HCE and Kit Kat here. So how can you get tap and pay up and working on your Verizon Moto X since it was just updated to Kit Kat this morning? By installing the Google Wallet .apk from the Nexus 5, of course. We’ve got links for you below. 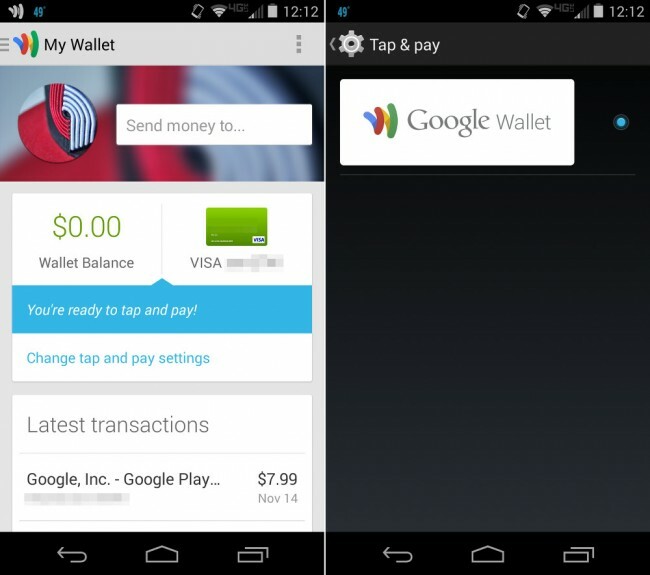 All you need to do is install it right over the top of your current Google Wallet app. If you don’t have Google Wallet installed already, simply install this .apk. Once installed, follow the instructions to setup Tap & pay. You should also see Google Wallet listed in your Tap & pay menu through Settings (pictured above). Cheers to all who sent this in!